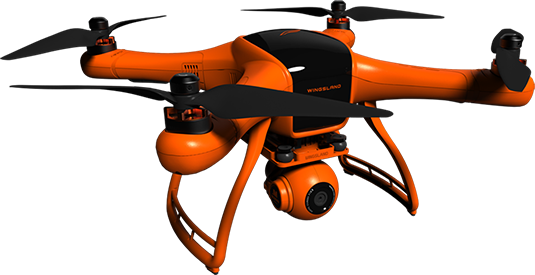 We are an approved Wingsland dealer, But we also have reviews for other great drones down the bottom of this page. Racing Drone with Optical Flow Positioning. 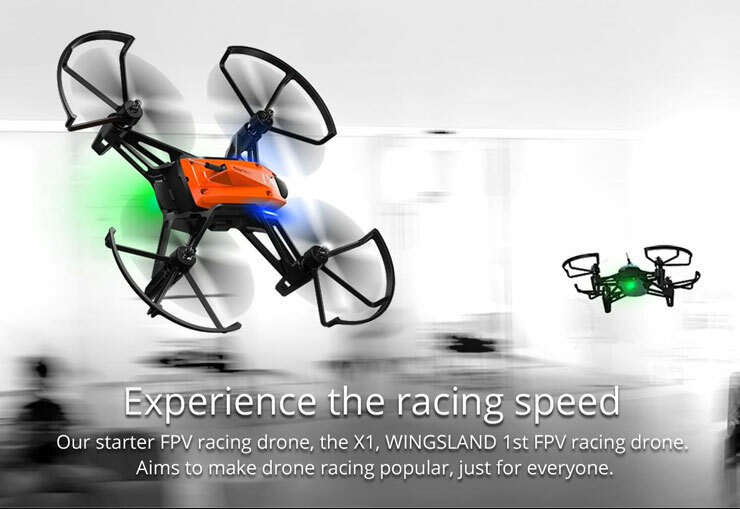 X1 Racing Drone, Great For Beginners. 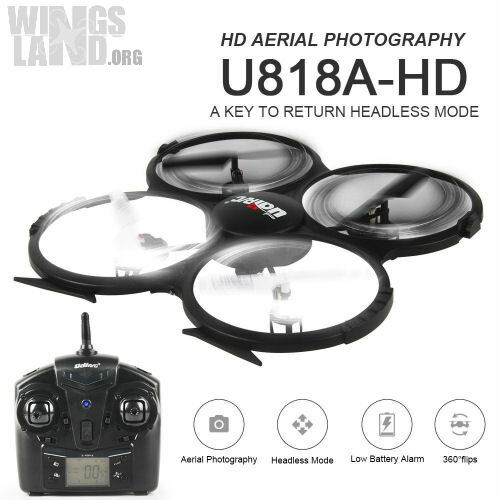 Very Affordable HD Drone , Fantastic For Beginners. Stay Confident with a low battery/connection lose auto return home feature. Record 4K Footage. One Key Take-Off/Landing. This page shows the complete collection of drones for sale from the Wingsland company. Right from the first drone released (Scarlett Minivet), to the latest release (Wingsland X1), you can rest assured that you will be buying a quality build. 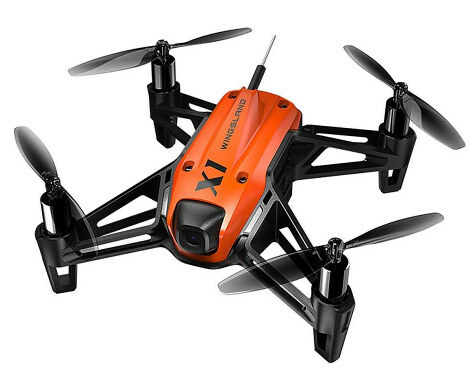 The most current X1 drone is the best beginners drone for anyone learning how to fly. Weather you want to learn drone racing or professional camera drone operation it is the ideal starters pack. The camera does not have the highest resolution but it does come with a very unique twist. The angle can be changed making it perfect for beginners. When first starting off the X1’s camera can be faced forwards to match that of a normal drone operation. Once the new flyer has got used to this easier way of flying, the camera can then be tilted upwards into racing drone set up. This will allow the flyer to gain maximum speed by pitching the drone right forward, still being able to see what’s ahead. If it is a clearer image you are after then consider the S6 selfie drone. The S6 was the smallest 4k drone on the market at the time of release. Being so small makes it one of the best selfie drones to take on any adventure. It is foldable and comes with a hard case which easily fits in your pocket or backpack. When the drone’s arms are folded in the S6 is only a little bigger than the average smart phone. Smart follow me mode is one of the best features of the S6 selfie drone. The operator can set the drone to follow them and capture their movements automatically. Meaning less time worrying about where the camera is pointing and more time for the user to enjoy the moment. Just for fun the S6 has an attachment port located on top of the body. This allows for clicking in an emoji screen, boom boom gun or a flash light. Even though this selfie drone only weighs 230 grams it is exceptionally stable on a windy day. The S6 definitely makes for one cool drone. 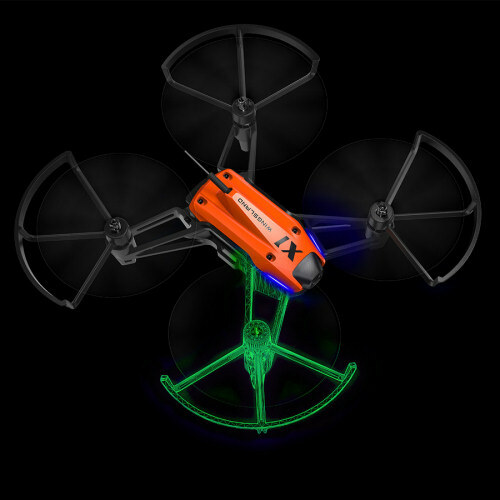 Another quadcopter that made the cool drones list on it’s release was the Scarlett Minivet. Minivet was the first drone Wingsland brought out, it is still for sale today around the world. 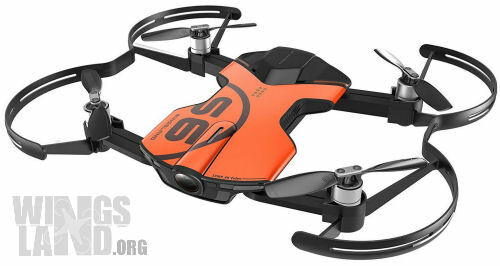 It is a good option drone for beginners too, but a little more expensive than the X1. 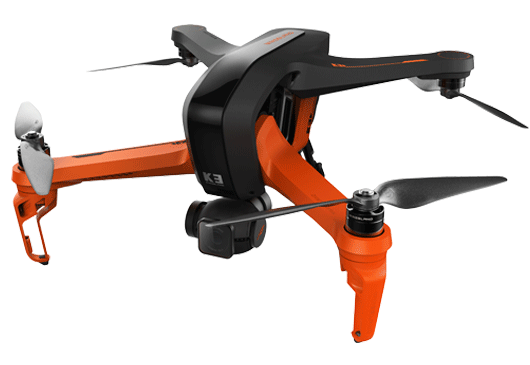 So we suggest learning how to fly a drone first with the X1 and then step up to the Scarlett Minivet if drone photography is your thing. The Minivet comes with a 5 inch screen attached to the top of the remote. As it is an older drone it does not connect to the Wingsland app like the latest models. This is definitely an advantage for a camera drone anyway, as it increases the flight range. Obviously one of the biggest talked about things when looking to buy a drone is how much does it cost? This question is very vast, it depends on what type someone is looking to buy and how experienced a drone pilot they are. If we are talking about a beginner flyer then spending anything over $150 would be stupid. When learning it is very important to start with a strong bodied drone that can stand up to a few good hits. This is why we suggest the X1 drone, as it is under the $150 price, sometimes even under $100. If a crash occurs with the X1, chances are the worst damage will be a broken drone propeller. These are so easy to change and swap over for the X1. Also the drone propellers are for sale very cheap all over the internet. So how much does a drone cost for someone who has some flying knowledge and experience? This still depends on how much experience. For someone that has learnt how to fly a cheap drone quite well but hasn’t yet flown any real expensive larger models it is still recommended not to go to pricy to quickly. One of the biggest mistakes made by people is trying to advance to quickly. Many people see some cool drones that have amazing features, which are marketed to be ‘easy to fly’. The truth is a lot of these are easy to fly, but things always go wrong when flying, their are a lot of variables, sometimes the auto functions fail and quick reaction is required to prevent a crash. To help develop these piloting skills, try not to use any of the ‘helpful features’. Just like driving a car with cruise control. If you learn to drive using it, then when in a car without cruise control it is hard to maintain the same speed. Same goes for drones, if auto landing, auto return home and altitude hold features are being used all the time, then the pilot isn’t going to have a clue how to operate if these features become unavailable. If you are guilty of constantly using flight assist functions, to be safe it is better to get a mid range drone under $500 or even under 300. The Scarlett Minivet or S6 falls into this category. You will still get incredible footage on these 2 quadcopters, they won’t cost an arm and a leg if their is a crash. When the drone can be flown without the use of ‘easy to fly’ features, in many different flying conditions, then it is time to look at the more expensive drones for sale. There are a huge range of expensive drones on the market. From farming agriculture type drones, survey drones, photography drones, racing drones, heavy lifting drones, delivery drones and many more. If you are chasing the most popular type, which is generally for photography, then the K3 is ideal. 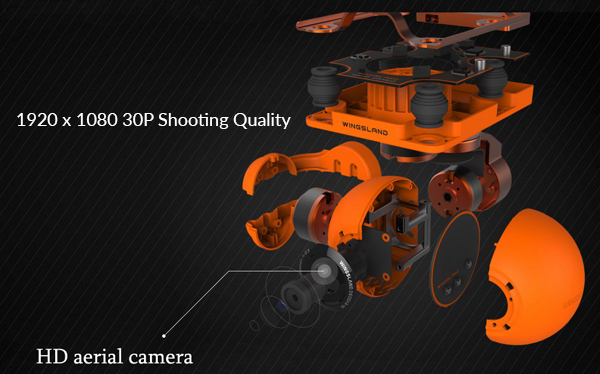 It has a 3 axis gimbal to provide smooth no bump filming. A 4K Sony lens camera for a very sharp image. Of course, it is fitted with return home, battery failsafe, auto takeoff/landing, follow mode and many more advanced features. 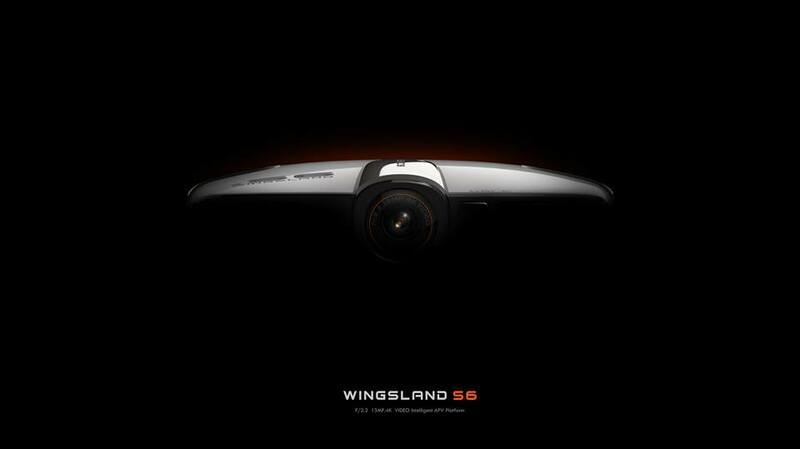 It is Wingsland’s most advanced drone. We are a Wingsland Dealer but be also recommend other high quality drones. There are hundreds of different drones for sale on the Internet. So that you can get an idea of the different options available when buying a drone, we have taken one from each category. When you find the type of drone that you want from this page click the button bellow its description to view more like it. If you already know what drone you would like to buy then select from the categories bellow. The S6 is a fantastic example of what technology can actually be packed into these little drones. 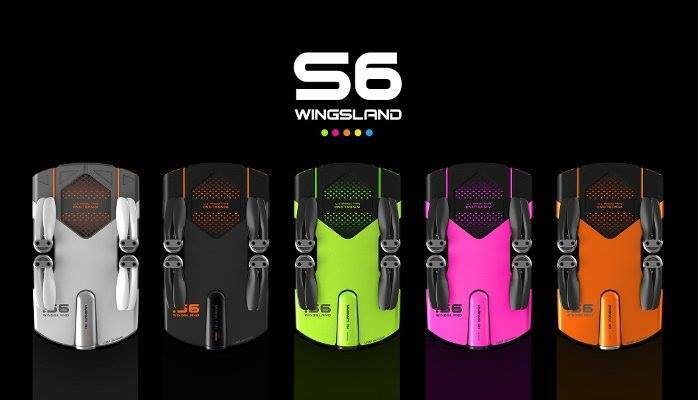 The S6 features an incredibly clear 4k video camera, the footage can be viewed live in HD from your mobile device or VR goggles as you are flying. Multiple flight mode options are available for the S6. Follow me Mode allows the user to put there mobile device controlling the S6 in there pocket. The little drone will follow and film from a minimum of 5 meters away leaving the user free to ride, run or jump. 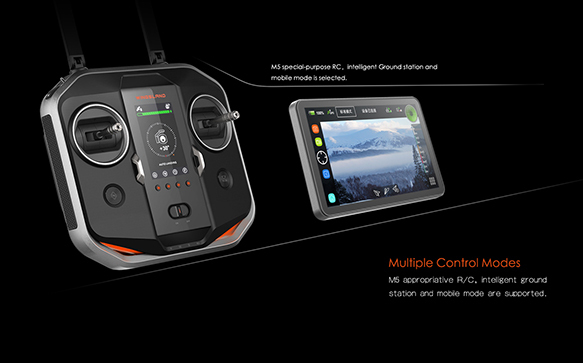 Standard mode can be selected when the user wants fully control, by using the FPV screen amazing footage can be taken. If signal is lost the S6 will automatically go back to its take off position and land. 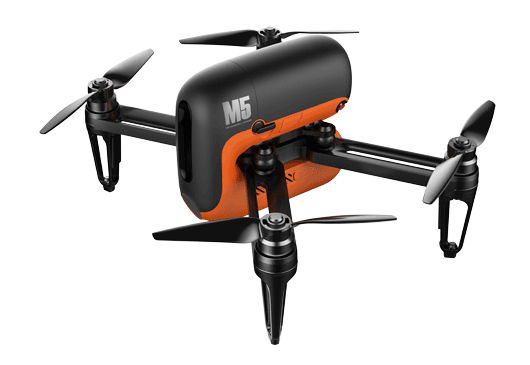 You can read more about this S6 drone or other selfie drones on our selfie drone page. The Inspire 2 is currently the best drone in its class. It would probably be safe to say the it is the best drone for sale at the moment. Like a few of DJI’s other top drones it has a 7km (4.35mile) range, which it can get to quite quickly at its top speed of 94kph (58mph). It can also get to its top speed quickly, Inspire 2 goes from hover up to 80kph (50miles) in just 5 seconds. The thrust of this drone is incredible for its size, it is all made possible by highly advanced technology and a duel battery system. With the 2 on board batteries this drone also gets a very good flight time of up to 27 minutes. 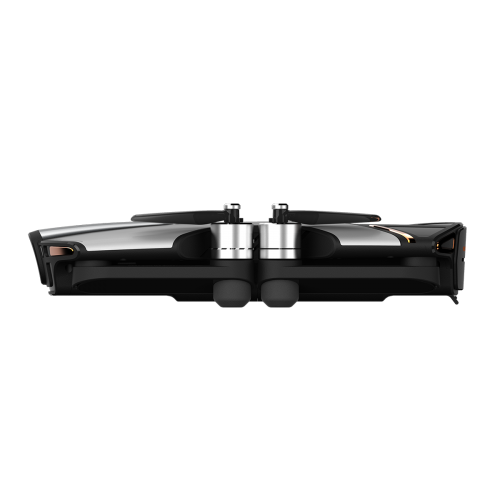 Object avoidance sensors and terrain detection sensors are built into the body of the inspire 2. Coupled with the amazing on board computer these sensors can achieve some pretty amazing things. As the drone flies along its path the inspire 2 remembers where it has flown via GPS and it also remembers possible objects and terrain, which it may have to dodge on its return back to home. If the drone losses signal with the remote or if the operator hits the return to home button the DJI inspire 2 will come back via its original flight path dodging all obstacles. 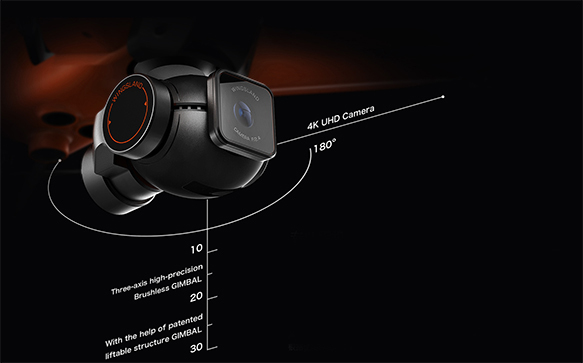 The inspire 2 has can film in 4k or 5.2k depending on the model you buy. This very affordable drone comes complete with a 3 axis gimbal, meaning very smooth footage from its crystal clear HD camera. 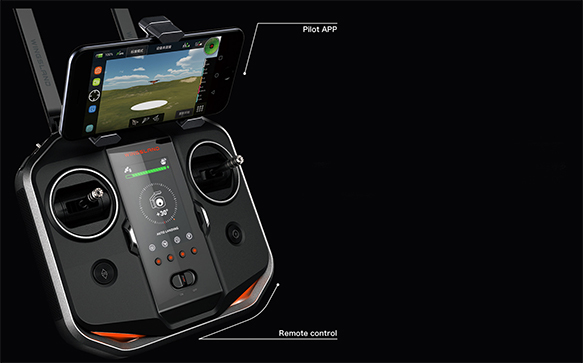 The X4 pro has built it GPS for a safe flight every time. Hover mode, auto take off and landing also make it easy to operate and decrease any risk of damage. All these features are pretty standard in drones for sale now days but what sets this Hubsan apart from the rest is its 30 minute flight time and low price. Other drones with this sort of flying time a generally well over $1000, the H109s drone can usually be purchased for under $450. The DJI phantom 4 makes a few categories as it is also one of best drones you can buy on the market at the moment. It makes the long flight time category because it has an incredible 28 minutes of battery life. 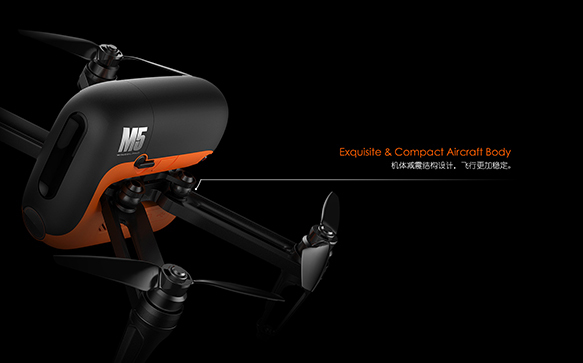 It makes the long range drone category because it can fly 6km from the controller. It even nearly makes the selfie drone category! Just like the S6 it can follow objects, but the phantom does it in a much more advanced way. 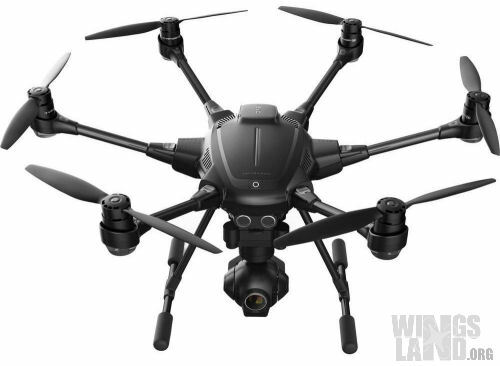 The Yuneec Typhoon makes the list because, well, it looks amazing! This 6 prop drone would win the drone beauty pageant. 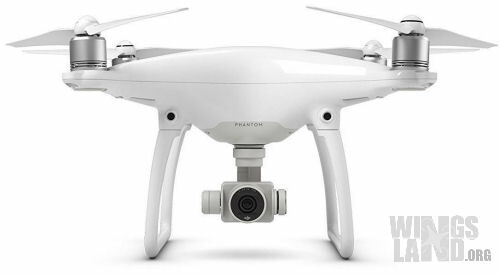 It has good looks and incredible features that nearly match that of the phantom 4. 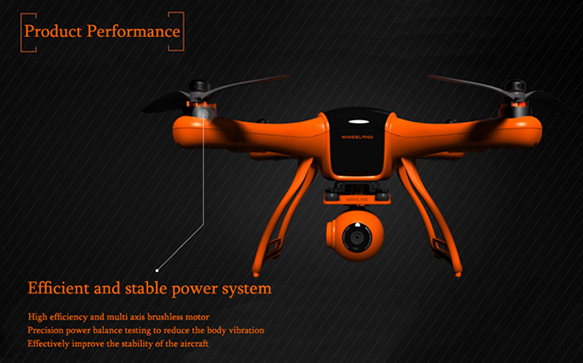 4k camera with extra stable flight, 3 axis gimbal and object avoidance sensors, it one of the top drones for sale. From the beginners category, the UDI818a HD is our pick. There are a lot of great drones you can use when learning how to fly a drone. I have flown a lot of cheap drones and this one is the toughest (which is obviously important when learning). The frame is made of plastic which looks and feels like it would break easily, but it doesn’t. Since I bought this drone it has been crashed by every kid in the family. Into trees, dirt, walls and other kids. It would have easily been crashed 1000 times without any blood shed or the need to replace a propeller. The prop guards don’t only protect the propellers, they also protect the animals and other family members the kids always crash into. The 818a HD even comes with I nice little HD camera to film all the action on. It is one of the best drones for kids and a great beginner drone. Racing Drone flyers are generally right up the with professional camera drone pilots in that they are both super fanatical about their drones. Racing drone owners generally make modifications to their drones to try and tweak them up to being the fastest racing machines in the air, it can get pretty advanced and seem rather complicated if you have had nothing to do with it before. If you are reading this I assume that you don’t really know much about racing drones and are looking for something easy and entry level to start off. 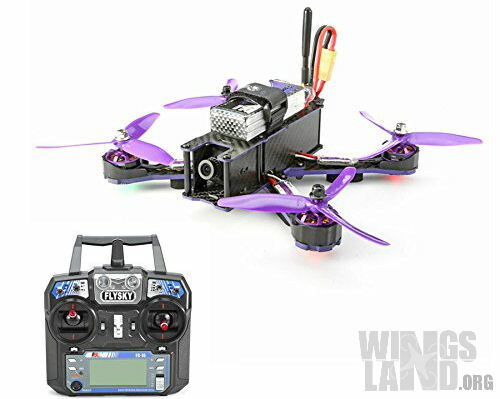 Let me introduce the Eachine Wizard X220, This little racing drone can reach speeds of up to 68MPH and is one of the most drones for people wanting to have a play. The drone comes RTF which in short for ‘Ready to Fly’. Drone kits are available where you can make you own but this one comes ready to fly straight out of the box. So there you go, six completely different drones for sale that are all fantastic for the market they have been designed for. You can read about all the different types of drones by clicking the buttons under the articles. Do you have a drone which you believe should be added? Feel free to send us an email.